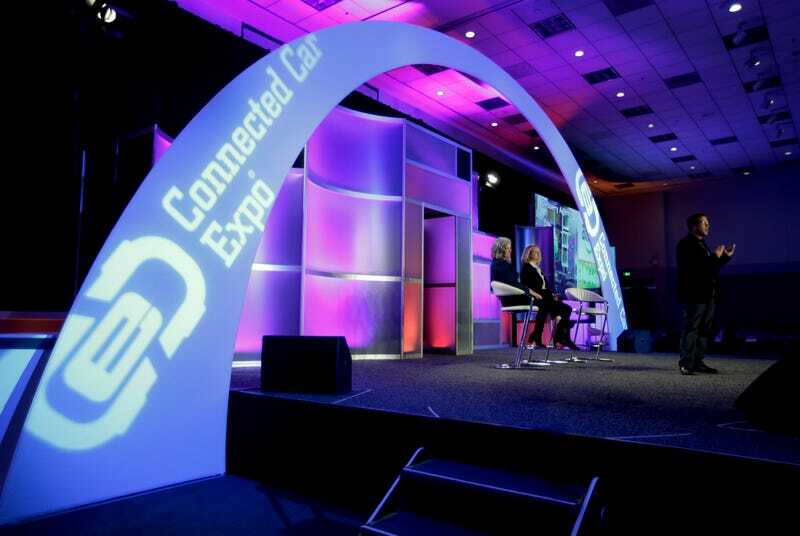 The Los Angeles International Auto Show opened with the Connected Car Expo and the announcement of the creation of the Coalition of Transportation Technology established by the City of Los Angeles, which is quite possibly the most important urban planning project of the 21st Century. If that sounds preposterous to you, you are part of the issue. An issue facing every community, every city, and every country in the modern world. An issue widely ignored or belittled by car enthusiasts, city planners, and politicians at the local, state, and national level alike. An issue that will affect the lives of billions of people around the world sooner than the 46th president of the United States will recite the Oath of Office. The largest societal shift in transportation since Henry Ford invented the assembly line is happening: the autonomous car is almost here, and nobody is taking it seriously. Los Angeles just took the first serious step towards the future by forming the city’s Coalition of Transportation Technology, which is the first city project in the world to seriously tackle the logistics of introducing autonomous vehicles on a massive scale to public streets. The new Coalition aims to adapt the Los Angeles infrastructure around connected and autonomous vehicles, developing plans and processes for common concerns on how vehicles move throughout the city, adjusting for the expected increased safety to motorists, bicyclists, and pedestrians offered by driver-less vehicles, as well as tackling issues like parking and adaptation and integration with piloted vehicles. As Los Angeles opens the door and begins a path towards integration, the rest of the world is still ignoring or delaying serious planning and discussion for the introduction of autonomy in automobiles, and the ever-increasing connected technological world we live in. At least seven companies plan to offer highway-capable autonomous driving on vehicles by 2020. Some companies have already taken it a step farther, with Volvo promising no collision-related deaths in their modern lineup by 2020 with plans of integrated levels of autonomy, and Tesla already offering an early autopilot-like feature to their Model S sedan. Many companies in and out of the automotive industry have also begun testing their autonomous technology in mock cities specifically designed for such a purpose, including Google, Honda, Ford, and reportedly, Apple. Toyota specifically outlined the threat of outside-industry companies like Google and Apple advancing driver-less technology when they announced their own plans for an autopilot-like feature on their showroom vehicles by 2020. The industry and competition is there. The customers will be there. Governments, if they do not act immediately, will not be prepared, and that is a terrifying prospect. The lacking legislature at every level of government is shocking considering the implications of people letting go of the wheel, putting their lives and the lives of others in the care and responsibility of a computer; a prospect only five to ten years away. There are dozens of unanswered questions, and as companies come closer to production-ready autopilot and autonomous capabilities, many more questions will be raised. Now is the perfect opportunity for governments to step in and lay the ground work for our transportation future. This isn’t a time of motorized stagecoaches working their way to the one-percent, blind to the prospect of the future implications and adaptability of automotive technology like in the early 20th Century. Autonomy will be available to a massive amount of people in years, not decades. There will be no trial and error approach as with the first slow, crude motorized vehicles. Before we know it, highways will be shared by cars piloting themselves along with models older than the Interstate system they’re driving on. Currently, there is no common regulation or law for the liability of an accident involving an autonomous or semi-autonomous vehicle. Though companies like Google, Volvo, and Mercedes have come forward and declared the acceptance of liability for their autonomous vehicles going forward, this is of their own accord. If that is the correct approach, it needs to be a common legal expectation of all automakers. There are currently no common safety regulations for a vehicle that pilots itself, which will be programmed to adapt and protect the driver better than they can protect themselves. There is currently no regulation at any level for standard equipment, and no set standards for what technology a commonly safe autonomous vehicle would be considered to require. What defines a safe autonomous vehicle? Will seat-belts remain? Airbags? Traditional seating arrangement and passenger compartment design? How fluid will these new laws be as the autonomous technology progresses and becomes widely adapted and safer? We’ve already seen plenty of examples of Tesla’s autopilot feature either failing to do what is advertised by the company, or the over-expectation and lack of responsible security taken by drivers using the auto-pilot feature resulting in accidents. As these hybrid-autonomy features slowly work their way into the showroom of every automaker, the grey area between a driven vehicle and a driver-less vehicle is going to take years—if not decades, to filter through, and companies, owners and governments need a system of guidance and law to keep society at a safe and common level of expectation. This blank slate of regulation and lawmaking is also a perfect opportunity for a serious approach at a clean or renewable energy direction for the automotive industry. Many companies in development of autonomous concepts are already integrating conceptual drive-trains and power-plants including traditional hybrid, hydrogen-fueled hybrid, and fully electric models. The power is in the lawmakers’ hands to push the industries developing our future of transportation in a clean and sustainable approach from the start, advancing the precedent for the future rather than delaying the death of the fossil-fueled precedent of the past. The biggest question for communities like Los Angeles to answer will be the degree of integration between vehicles on the roadways. Where will piloted vehicles be permitted drive? Will there be specific roadways or routes for autonomous vehicles only, or vice-versa? Will cities be divided into exclusion zones, where pedestrians have to rely on connected rides like Uber or Lyft, autonomous vehicles, or infrastructure like trains and subways to navigate in traditionally complex areas of the city like downtown? The city of Oslo already has plans to permanently ban cars from the city center, using alternative transportation methods to filter people in and out, without any apparent foresight for autonomous capabilities. Will methods like this be adapted across the board, or will there be various approaches? Communities also have to factor in supply and emergency vehicles, which will have to be piloted for many decades to come to remain productive and effective logistically. Cities like Oslo and Los Angeles hold the future of transportation technology in the laws and practices they develop. A city like Los Angeles is possibly the perfect American city to begin developing the urban integration of driver-less vehicles with a rich automotive culture, unique and constantly shaping infrastructure, and influence on society at large through its popularity. Striking a balance between the cultural significance of piloted vehicles, while ushering in a new wave of safer semi-autonomous and autonomous vehicles is paramount in a secure future. For governments around the world, time is running out in developing plans for our integrated autonomous future. For enthusiasts looking to hold on to the wheel a little bit longer, you may have to plan to take the back roads, but full autonomy is still a distant prospect. This new Coalition of Transport Technology will likely be deciding the blueprint for the future of transportation in America, as well as cities around the world. The plans and policies developed will be remapping the roads of the world, culminating in safer and more efficient transportation impacting the daily lives of billions of people for decades to come. Edit: The announcement by Los Angeles was the first part of announcing a cooperation with Volvo on designing an autonomous car that could eliminate all traffic deaths, which you can read about over on Gizmodo.